Helios was perhaps best known for the very solidly-built porro prism binoculars which had excellent optics for their price. Modern Helios optics have come a long way since those days but the philosophy of the brand is still to offer great optics that offer possibly unparalleled value for money. Today Helios produce a wide range of mostly entry to mid-level binoculars, that include specialist devices like theatre/opera glasses marine binoculars and giant observation binoculars. The also have a wide selection of compact porro and roof prism binoculars as well as full sized roof and porro prism designs. The Helios Aero-ED binoculars are rubber armored open-hinge binoculars that have a light weight magnesium alloy body. Considering their low price point they also very impressively use ED (Extra low Dispersion) glass lenses to help eliminate colour fringing. Another low costing range of binoculars from Helios, the Mistral WP6 series consists of mid-sized, standard models and larger binoculars and all available in a selection of magnifications. This series looks to be aimed at general use, with an emphasis on birding, especially the 8x42 Mistral which has a nice wide field of view and excellent image quality for the price. All Helios Mistral WP6 binoculars come equipped with BaK-4 roof prisms, fully multi-coated optics, with water and fog proof bodies and there are a few premium models that also incorporate an ED element into their lenses. Helios Mistral WP4 binoculars have multi-coated optics and high quality BaK-4 prisms and feature twist-up eyecups with enough eye-relief to make them suitable for most eyeglass wearers. The Helios Nirvanna-ED binoculars feature a waterproof and lightweight magnesium body that houses Extra Low Dispersion glass and fully multi-coated optics as well as Phase-Coated high- index BaK-4 prisms that provide an excellent optical performance. The Helios Lightwing HR roof prism models are bright new stars in the Helios roof prism range which will satisfy even the most discerning user. 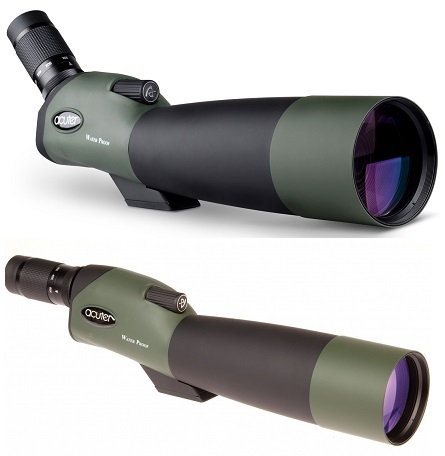 They are extremely competent instruments providing high-levels of optical performance for both birdwatching & general observing, whilst offering incredible value. Helios 10X50 Nitrosport Waterproof Roof Prism Binoculars are a lightweight and stylish open hinge design that is ideal for bird watching, hunting and general observing with easy handling. With high quality BaK-4 roof prisms enhance light intensity and deliver optimum brighter and sharp image. These new design top quality Helios 10x50 WA Fieldmaster Porro Prism Binoculars go-anywhere with you. If you want to discover this universe, not only for the research purposes but also for as hobby, then binocular is your best single versatile instrument for the mysterious tour of the night sky. Helios 12X50 Nitrosport Waterproof Roof Prism Binoculars are a lightweight and stylish open hinge design that is ideal for bird watching, hunting and general observing with easy handling. With high quality BaK-4 roof prisms enhance light intensity and deliver optimum brighter and sharp image. Helios 7x50 Finderscope For Quantum 7.1 and 7.2 Binoculars is Designed for Quantum 7.1 and Quantum 7.2 observational binoculars. It Allows quick and accurate objects tracking. It is Lightweight, reliable and easy to mount and remove.